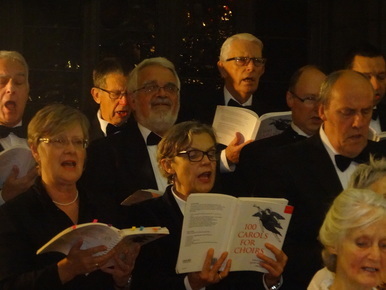 The University of Plymouth Choral Society is one of the largest community choirs in Plymouth. Rehearsals are on Tuesday evenings from 7.30pm at the Sherwell Centre, Plymouth University. This season, 2018 -2019, we have some great music to sing and three more brilliant concerts are planned, supported by orchestra, organ and professional soloists. Beginning with Elgar’s Snow, Ave Verum Corpus and Lux Aeterna, we progress to the Gloria by Vivaldi and a selection of carols in time for Christmas. We start rehearsals on Tuesday September 18th, when subs are due and new music scores distributed. Please try to arrive early, from 18:45 - 19:10. Rehearsals start promptly at 19:30. We restart the New Year on Tuesday January 8th, working on a completely new programme, new members are very welcome to join at any time. For further details see Concerts and Events or Rehearsals. Details of Saturday Choral Singing Day are now available on the Rehearsal's page. Membership consists of students and staff as well as members of the community and is open to anyone who has an enthusiasm for singing. There are no auditions. The repertoire is drawn mainly from the classical mainstream works plus part songs and madrigals, anthems, motets and opera. New compositions are also premiered. Public concerts are performed throughout the academic year. These performances are with professional soloists and orchestras. 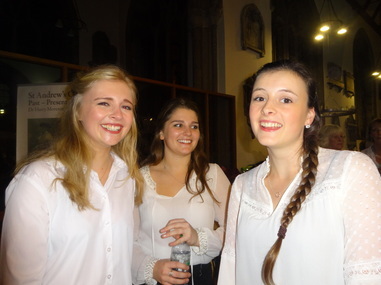 The choir also participates in University events and the University Carol Service.